The real art and science of feng shui is to tap the environment’s energy to enhance and support the human experience. Almost everyone has heard of feng shui, but why do business moguls Steve Wynn and Donald Trump use it? Simple: because it works and it sells. Steve Wynn, the Las Vegas mega-builder, has used a feng shui master from Hong Kong for many years to help him build his hotels and casinos. When “the Donald” lost all his money about 15 years ago, Americans had pretty much written him off. He went to Hong Kong — they have a few billion dollars — and they said “OK, but no feng shui, no money.” The rest is history. Trump gained even more wealth than he had previously had, as well as other riches — a television program, a new gorgeous wife and new baby. How does feng shui really work? Our world is basically energy — even the chair you are sitting on looks like Swiss cheese on a sub-atomic level, more space and energy than solid matter. The real art and science of feng shui is to tap the environment’s energy to enhance and support the human experience. When we speak of the environment, we are not talking about the weather. The feng shui environment includes mountains, topography, water features, highways, high-rise structures, roads to your home and much more. The forms and shapes of these features can absolutely determine your ability to earn and amass money, find a great partner and enjoy good health. 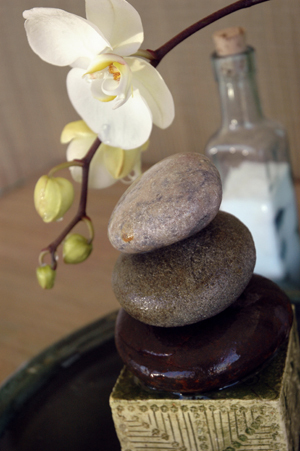 Feng shui is a living science that took thousands of years to perfect. While many cultures had a practice akin to feng shui, the Chinese took it to an amazing level. They carefully documented the shapes of buildings and homes, the land and the occupants in relationship to these features. As a result, there are hundreds of methods to enhance wealth and good fortune. They also identified specific compass degrees that can bring “jewels” or disaster. Foundations are set to these specific degrees to enhance positive attributes — yes, even high-rise buildings and casinos. The feng shui is so excellent in these buildings that even if you gamble away your money, you will happily book your next visit. The Valley has some fascinating sites with both good and bad feng shui. Paradise Valley enjoys considerable, benevolent energy. You do not have to study or even believe in energy to know this by the results. The rich get richer, for the most part; however, not all homes in Paradise Valley are lucky. The homes built into the mountains are best; the mountains give them total support and bring the occupants a fabulous life. Homes built on the tops of mountains are vulnerable in business, and indicate possible divorce and the potential to contract diseases like lung cancer — as well as other generally negative experiences. The blue spire on the corner of Scottsdale Road and Frank Lloyd Wright is an interesting mix — it will draw people to gather and spend money, but it will cause negative results, such as confusion and accidents. On the corner of 5th Avenue and Scottsdale Road in Old Town Scottsdale is a building that was formerly called the Galleria. It is now almost empty, the building a feng shui nightmare. Though costly, this could easily be mended with the use of feng shui principles, resulting in an occupancy increase within months. Old Town Scottsdale has great, charming energy in general — yet this building detracts from its overall prosperity and lively revival. In general, the Valley is a “rice bowl” — or, simply put, is low ground surrounded by mountains which contain and hold the energy. You may have wondered, “The Valley has been around forever — why all the growth in the last few years?” According to classical feng shui analysis, it is the installation of the canal. The same energy was activated in Las Vegas when the Hoover Dam was built. Sound crazy? Maybe not. Water is the secret to feng shui. It brings life and money. The desert is blooming; we are the second fastest growing area in the country. The proper placement of water at your site is very important. A large pool/spa can bring bankruptcy or monetary luck, depending on where it is located. Unfortunately, there is no cookie-cutter approach here, and the prosperous locations vary with each site. A premier way to use feng shui begins with the perfect site or location for your building — no matter if this is a home, master-planned community, shopping center or high-rise condominium. The site itself will be the determinant for about 40 percent of your eventual experience there. The next most significant factor is the facing of the structure on the site, or the building’s orientation. An example of this is an office building whose location fails to face a busy road; these lease spaces become difficult to sell, and the tenants often struggle. Interestingly, a new office park located on Raintree Drive in North Scottsdale is another feng shui nightmare, with less than 10 percent occupancy. Yet, this office park also could be switched from disaster to success with a few feng shui changes. Chase Bank learned about feng shui while establishing a presence in Hong Kong many years ago, and they are wildly successful and gobbling up other banks — a case in point, their recent acquisition of Bank One. Their new buildings in the Valley have sound feng shui, ensuring their continued success. Classical feng shui is beginning to take hold with builders, developers and homeowners, not just in the Valley but across America. Such a conscientious effort will bring amazing changes that will be visible in the near future. Denise A. Liotta has studied with four noted feng shui masters from China, Malaysia and Australia, including Grand Master Yap Cheng Hai, and belongs to his 400-year old Wu Chang Feng Shui Mastery lineage. She offers feng shui training courses. 480-241-5211, ww.dragongatefengshui.net or dgfs@cox.net.